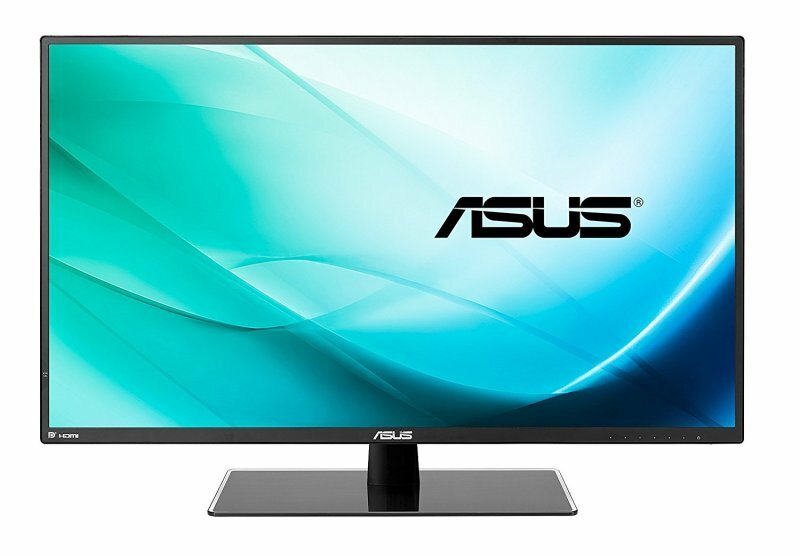 Prepare to be amazed as you experience exceptional 2560 x 1440 resolution visuals with the ASUS VA32AQ. With its 31.5" WQHD display, VA32AQ gives you 25% sharper images and up to 77% more onscreen space than a similarly sized Full HD display - allowing you the freedom to spread out your various desktop windows. VA32AQ features an In-plane Switching (IPS) technology panel to give you a stunning 100,000,000:1 contrast ratio and 178-degree wide viewing angles. It offers 10-bit colour to display over one billion colours - making VA32AQ ideal for photo and video editing, or for home entertainment. The VA32AQ embedded a SuperSpeed USB charger which provides 5V/1.5A power for mobile devices charging. Effectively reducing the time for battery charging, 40% faster than a normal USB 2.0 charger. Users can put their power-hungry device nearby for charging, no need to find an electric plug. When it comes to design, ASUS always have customers in mind - the ASUS VA32AQ features the ASUS-exclusive GamePlus hotkey with crosshair and timer functions. Gamers can select four different crosshair types to suit the gaming environment; while the latter keeps players aware of the elapsed time in real-time strategy games. These tools allow gamers to practice and improve on their gaming skills. We've raised the bar by incorporating some of our proprietary technologies into the ASUS VA32AQ to give you a truly vivid visual experience. The VA32AQ features the new SplendidPlus™ Video Intelligence Technology that optimises videos and images by enhancing colour brightness, contrast, and sharpness. SplendidPlus™ features two new modes - Reading and Darkroom - in addition to the Scenery, Standard, Theater, sRGB, and Night View modes. Low-blue Light and Flicker-free technologies also reduce the strain on your eyes after long periods of use. The TÜV Rheinland-certified ASUS Blue Light Filter protects you from harmful blue light, and you can easily access its four different filter settings via a hotkey. VA32AQ has undergone stringent performance tests and has been certified by TÜV Rheinland laboratories, a global provider of technical, safety, and certification services, to be flicker-free and to emit low blue light levels. It's time to say goodbye to those tired, strained eyes. VA32AQ features TÜV Rheinland-certified ASUS Flicker-Free technology to reduce flicker for a comfortable viewing experience. This technology helps minimize instances of eyestrain and other damaging ailments, especially when you spend long, countless hours in front of a display watching favorite videos. **The SuperSpeed USB charger only has battery charging function, cannot support data transmission.